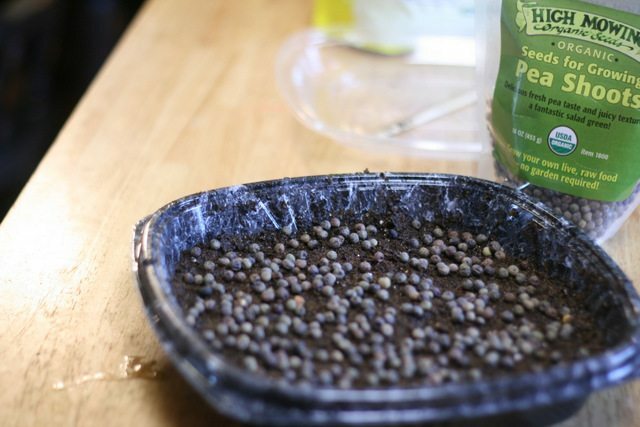 I recently asked our readers what questions you had about growing sprouts and microgreens. Boy, you guys had some great questions! 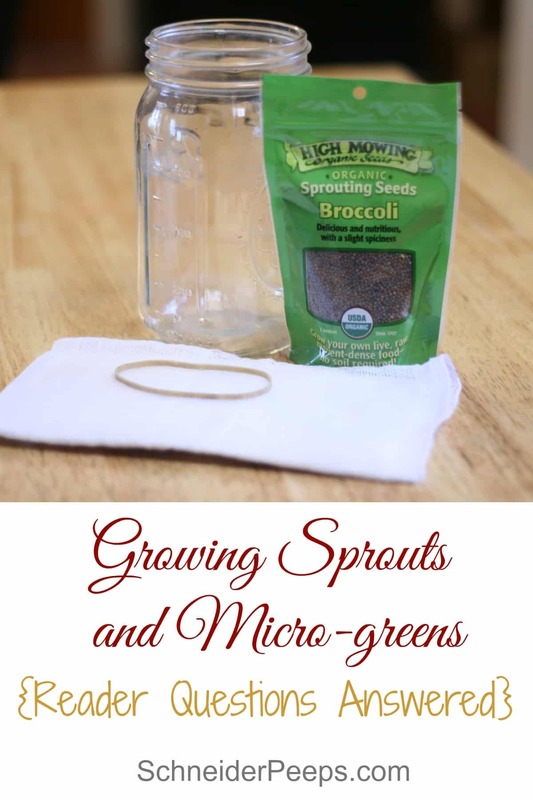 Since I had never sprouted seed in order to eat the sprouts nor had I grown micro-greens until last month, I thought I’d reach out to some of my blogging friends who have been sprouting much longer than a month to help answer some of the questions. 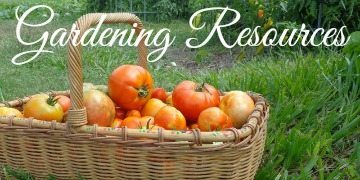 Would I need to buy “sprouting seeds” or can I use my own seeds from the garden? You can use any seeds to sprout but it’s important to make sure the seeds are organic/non-gmo since you are eating the seed. 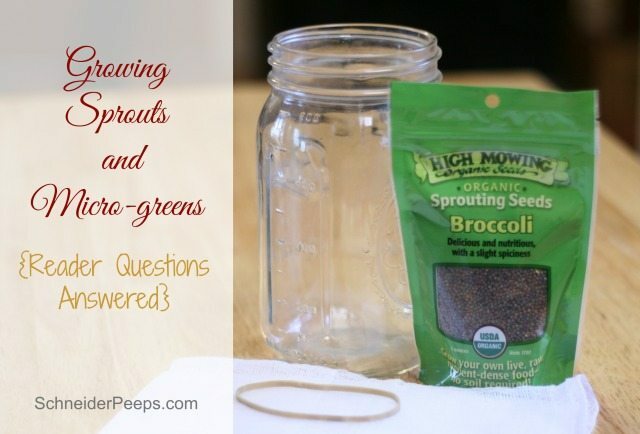 Smaller seeds such as alfalfa, broccoli and radish make wonderful sprouts to eat raw. When I was younger, there was a big scare with sprouts and I think E-coli. I am wondering if I do this at home, if there is a way to avoid those type of issues? This question really sent me hunting. 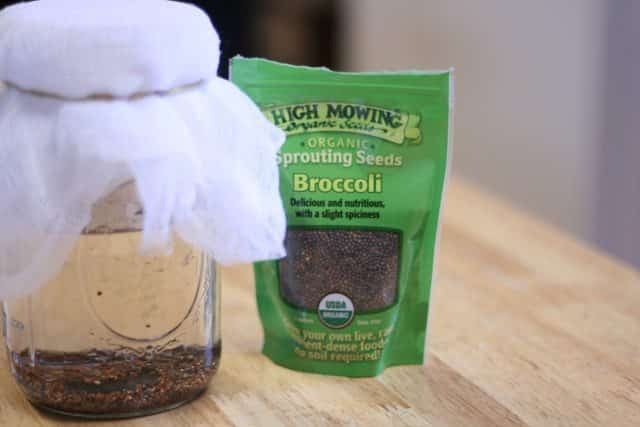 E-coli is a big deal and I really didn’t want to just flippantly say, “Keep everything clean and you’ll be just fine.” Desert News has a wonderful article on how to safely sprouts seeds at home starting with washing the seeds in a hydrogen peroxide mixture, just like Janette suggested in the comments. By the way, High Mowing Seeds are tested for salmonella and E-coli, which is probably why they don’t list the hydrogen peroxide step in their instructions. How many days at 12ish hour intervals would I need to rinse the sprouts? It really depends on what you are sprouting (don’t you just hate that answer?). Here is a wonderful graphic from Weed ’em and Reap for sprouting times for seeds, grains and nuts. What is the ideal temperature range for sprouting? This High Mowing Seeds’s article says that the ideal temperature is 75 degrees Fahrenheit; colder and they will sprout slower, warmer and they will sprout faster. Are there any concerns sprouting in a warm climate, especially in the summer? Since the sprouting is done inside the home climate should not make a huge difference, unless you don’t use a/c. You will will want to be careful to follow the safety steps in the Desert News article no matter what the climate is. We have not tried eating sprouted seeds before. How do you serve them? At this point I’ve only had them on salads but Avocado Pesto has some really great looking recipes like turkey and avocado sandwiches or wraps, quinoa salad and pad thai. In fact, Vicky from Avacado Pesto seems to be a little obsessed with sprinkling spouts on many dishes. Where are they best kept after they are finished? You dry them and put them in the refrigerator. Biggest question is how to get rid of the seed hulls efficiently. This is wonderful question and until I saw it, we just ate the hulls. But Alexis from Bean and Bee suggests putting the sprouts in a bowl of water, the hulls will float and you can just skim them off the water. Or have your child do it – which is even better. I’d be interested in hearing success stories/tips from folks who live up north and have limited sun in the winter. Chris from Joybilee Farms is a friend of mine who lives way up north in Canada. 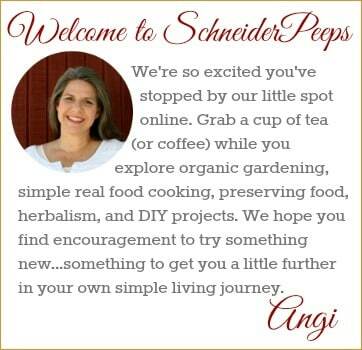 She has some great tips on growing micro-greens in the winter even if you’re off-grid. I’ve been trying to grow microgreens this month, but it looks like all I’m doing is growing a tray of rotten seeds. Clearly I need to work on my method. 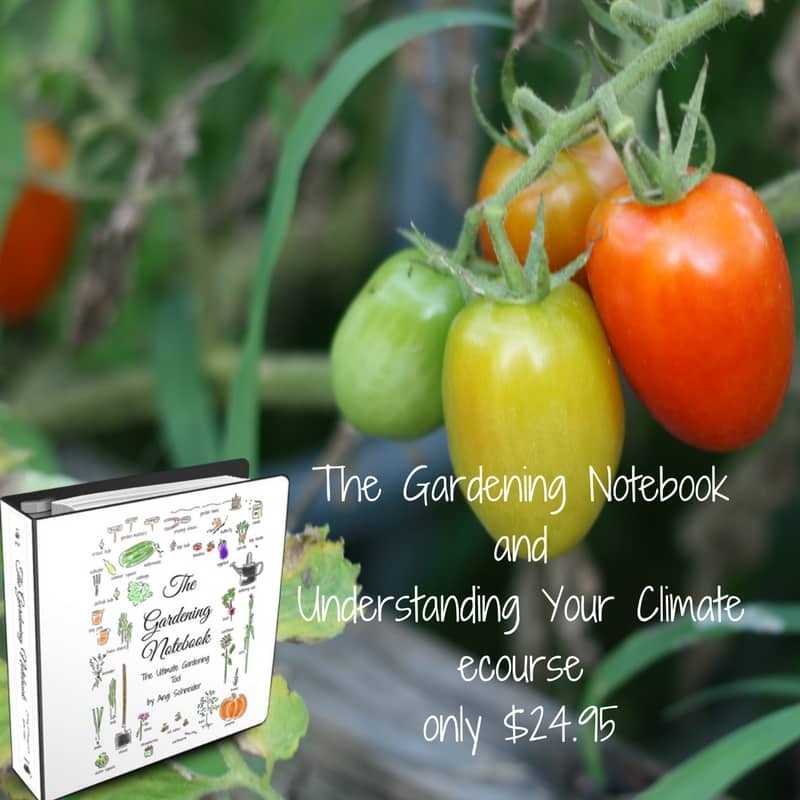 Gayla from You Grow Girl has says you should keep the soil as moist as a well wrung out sponge. She has several other tips, too. You mentioned using a heating pad or grow light, I would like to know more about using the heating pad. If found so many articles that suggested using a heating pad but most of them just mention it without giving any direction. Spin Farming has an article on how he uses a Zoo Med ReptiTherm to keep his microgreens warm at night in the green house. My personal thought is that unless you let your house get really cold you might not need this. My question is about harvesting them, do you cut off the tops like green onions and the sprouts keep growing? Or do you harvest once and have to re-sprout more? You harvest once and then replant. I really like how Wardee from GNOWFGLINS harvests her microgreens. Did you know that some of your homestead animals enjoy sprouts and micro-greens too? Lone Star Farmstead has some great advice on growing sprouts and microgreens for them. What are your favorite tips or resources for growing sprouts and microgreens? Thanks for answering my question! AND a few others I didn’t know I had. I’m off to check out some recipes! That’s how I felt when you guys were asking questions. I didn’t even know what I didn’t know! This is perfect – just what I needed for some research I’m doing on the topic. Thank you! Glad I could help, Tessa. Thank you for the link and so many great answers! You’re welcome. I learned a lot finding the answers.